In between our busy schedules, IAF members take time to come together to share experiences over a meal. The diversity of our membership brings with it a diversity of experiences to be shared - reflecting to us also, the myriad differences and viewpoints in Malaysian society today. Bring your own case study of client / sponsor scoping as there will be the opportunity to share experiences in virtual break-out groups. Rhonda Sparks-Tranks, CPF Rhonda is based in Melbourne Australia. 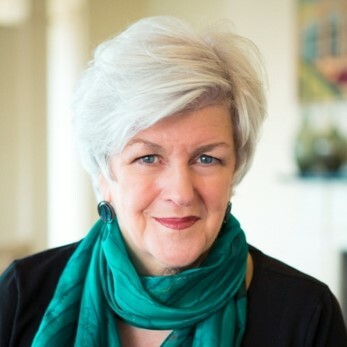 Her extensive experience (many more years than she cares to count) spans HR, Leadership, Training and Process Facilitation, Education, Coaching and Consulting in a variety of roles and industries across Australia, Asia, Mexico, Europe and USA. She delivers projects for international corporations and organisations, government, not-for-profit and industry associations. Hundreds of facilitators have been trained and mentored by Rhonda in the 25 years since she started training facilitators. She has delivered workshops at 14 IAF Conferences and regularly blogs on facilitation (Check out her posts on LinkedIn). She has developed her own Holistic Framework of Facilitation. Rhonda is a CPF, an IAF Endorsed Assessor and a recipient of the IAF Hall of Fame Award. 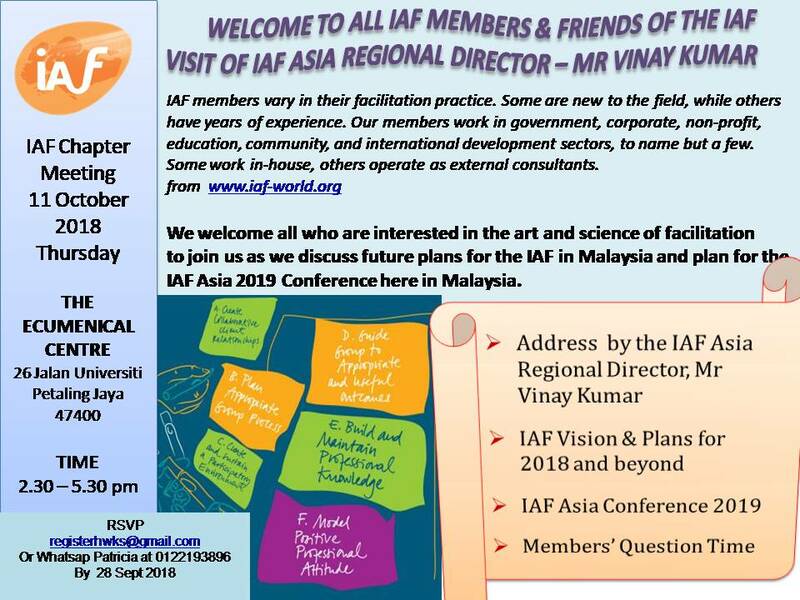 We are delighted to host Mr Vinay Kumar, IAF Asia Regional Director on an official visit to Malaysia in October. It will be an opportunity to shine the spotlight on the IAF and bring it to the forefront in our new and evolving Human Resource and Development arena. The workshops that will run on the 12th October are open to all members and all interested in facilitation - and will spark interest in many of the young and upcoming Malaysian enterprises and human resource professionals. We can count on more activity in time to come in Malaysia.